​In recent years Poland has witnessed a heated debate on gender as a ‘dangerous’ concept that threatens the integrity of family and social life. The media makes frequent use of concepts such as genderism or gender ideology, usually accompanied by anti-feminist rhetoric, while the government recently attempted to tighten the already restrictive abortion law, prompting countrywide “black protests”. Debates about gender inequality and the very concept of gender itself as well as about reproductive rights and homosexuality have also been affected by the rise of nationalism in Poland, elsewhere in Eastern Europe and in other parts of the world. The aim of the conference Impacts of Gender Discourse on Polish Politics, Society and Culture: Comparative Perspectives is to exchange knowledge and ideas about how contemporary gender politics, debates on sexuality and equality mechanisms affect politics, culture and social life in Poland, and how they are shaped by wider discourse about gender and sexuality. The conference focuses on Poland but considers it in a comparative context. 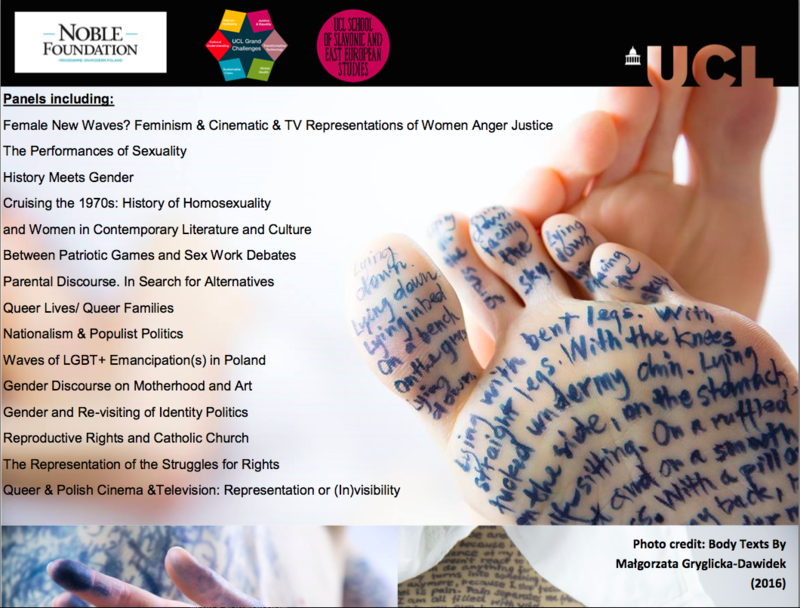 The main aim is to analyse the gender debate in the broad field of culture, art, literature, film, drama, social media. The project is funded by the Noble Foundation Programme on Modern Poland (http://pomp.com.pl/en/o-pomp/​). Date: 1st of october 2017 to 30th of September 2018.